Ohno continues to be a visiting professor of the Open University of Japan, where he gives lectures at Shibuya learning center. 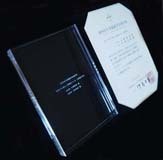 He also continues to teach EBS at the graduate school of Tokyo University of the Arts. He plans to teach Chinese students who received scholarship from Japanese Government at Northeast Normal University in Changchun, China for five weeks in Summer. 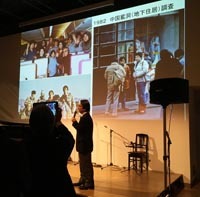 Ohno attended and gave a talk at the memorial celebration of Mr. Hitoshi Nakamura’s life and works (Jin-san Kai) held at the Hillside Terrace, Daikanyama, Tokyo. The gathering was attended by nearly 200 people. Mr. Nakamura (Jin-san), who died on 3 November, 2018, was Ohno’s long term friend and colleague since they met at Chatani Laboratory, Tokyo Institute of Technology in 1980. Ohno was invited to Kobayashi Laboratory in the Tokyo City University to give a short lecture on “place attachment” and gave some advice to students' research project. 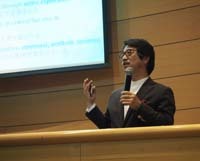 Dr. Teruyuki Isagawa also joined the seminar. 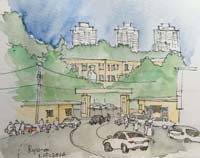 After the seminar, everybody enjoyed a party near the campus. Ohno revisited Xi'an and Yaodong (undergrond dwellings) near the city after 35 years' absence with Yuan Yichen's classmates (Ms. Li Ziping and Mr. Liu Zhenfeng) at Tianjin University as guides. 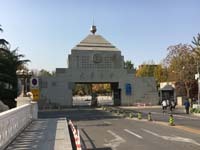 He also met Professor Li Zhimin at Xi'an University of Architecture and Technology. Ohno attended EBRA Conference held at Huazhong University of Science and Technology in Wuhan. 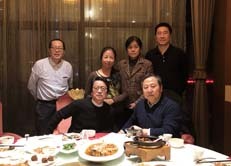 He met ex-students of his laboratory (Yuan, Yu and Gu) as well as the graduate students he taught at Dalian University of Technology and Shenyang Jianzhu University in the preceding year. 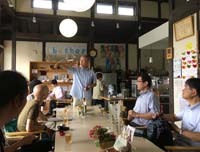 After the AIJ annual conference in Sendai, Ohno participated a site tour guided by Mr. Yasuhiro Tanaka to "Ibasho House" in Ofunato and other reconstruction facilities for the Great East Japan Earthquake. Ohno has returned home from Changchun, China, where he stayed about 5 weeks to teach at Northeast Normal University. 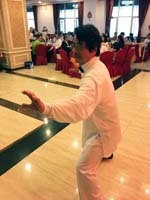 At the farewell party, the students of his class gave Ohno a Tai Ji Quan wear as a gift, and he couldn’t avoid showing Tai Ji Quan which he just started to learn. Ohno gave a special lecture on “Characteristics of traditional Japanese houses and their transformation” at Northeast Normal University, Changchun, China, during his 5 weeks' stay to teach academic writing and presentation to Chinese students who received scholarship from Japanese Government to seek Ph.D. degree in Japan.minar” of Shibuya Center of the Open University of Japan. 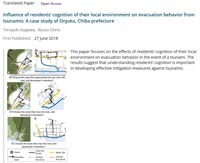 Translated paper, "Influence of residents’ cognition of their local environment on evacuation behavior from tsunami: A case study of Onjuku, Chiba prefecture" by Teruyuki Isagawa1 and Ryuzo Ohno has published in the Japan Architectural Review, which is an open access journal on Wiley Online Library. 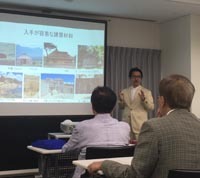 Ohno gave a lecture for the general public titled “The characteristics and transformation of Japanese traditional houses” at “the 246 Seminar” of Shibuya Center of the Open University of Japan. Dr. Raymond Lucas from University of Manchester gave a lecture titled “architectural anthropology” at the MERA seminar (under the cosponsorship of the anthropological approach working group of AIJ) held at University of Tokyo. "Studies on Environmental Perception during Locomotion--A Review of Empirical Studies by the Ohno Laboratory" has just published in the Japan Architectural Review, which is an open access journal on Wiley Online Library. Ohno enjoyed a potluck party at home with the Chinese students whom he taught 1.5 years ago in Changchun. 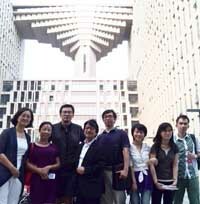 They now study in Tokyo to seek doctoral degree in architecture or civil engineering. Ohno gave a lecture for the general public titled “How to manage and enjoy urban spaces” at “the 246 Seminar” of Shibuya Center of the Open University of Japan. Ohno stayed for one month in the Dalian University of Technology as a “sea/sky scholar”, visiting professor, to give a series of lectures on EBS and to advise graduate students on their researches. 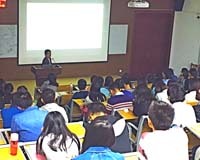 Ohno gave a special lecture titled "Possible Contribution of New Data Environment and New Analytical Techniques to Environment-Behavior Studies " at the Department of Architecture, Tianjin University. 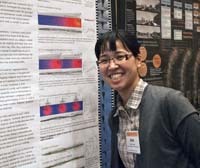 Associate professor Yuan, ex-student of Ohno Lab. made the introduction. Ryuzo Ohno stayed　for a half month in the Shengyan Architectural University as a visiting professor to give a series of lectures on EBS and to advise graduate students on their researches. 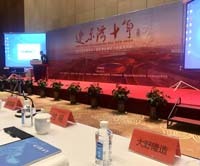 Ohno attended a conference on 10 Years Liaodogn Bay Development held in Pangjin, Liaoning, China. Professor Yuan Yichen from Tianjin University also attended the conference. 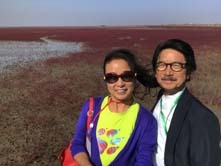 Ryuzo Ohno stayed 6 weeks in Changchun, China, where he taught academic writing and presentation in Japanese to Chinese students who received scholarship from Japanese Government to seek Ph.D. degree in Japan. The wedding ceremony of Mr. Ryo Kawase and Miss Akane Tokorodani, who fished their Master course at Ohno laboratory in 2013 and 2014 respectively, was held in Ginza, Tokyo. 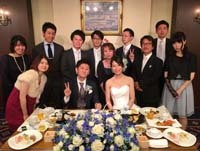 At the wedding party, their many contemporaries at Tokyo Tech attended and celebrated the new start of Ryo and Akane. Professor Takemi Sugiyama from Australian Catholic University gave a talk at the MERA symposium on sedentary behavior. Next day, I invited him to my house to have a party with MERA members. The cherry blossoms in front of my house were in full bloom at that day. Dr. Fukuda Nana graduatd from our laboratory in 2014 received Encouragement Prize of AIJ 2016 for her paper. Ohno has become a visiting professor of the Open University of Japan. 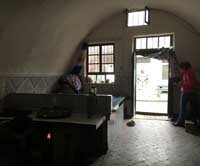 He also started to teach once a week at Japan Women's University in addition to Tokyo University of the Arts. 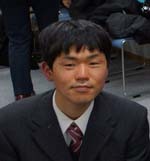 Dr. Isagawa graduatd from our laboratory in 2013 has become a full-time lecturer of Toky City University. A short trip around Seto Inland Sea and Kyoto with Mr. & Mrs. Johnson from Colorado: Dogo Onsen (hot spring); Toyo Ito Museum of Architecture; Yoshiaki Tada’s new office in Marukame; Isamu Noguchi Garden Museum; Benesse House in Naoshima; Miho Museum; Toraya Café. We had a farewell party at Ohno's home for Ms. Nana Fukuda who is going to work for one year as a visiting scholar with Professor Sanjoy Mazumdar of UC Irvine. 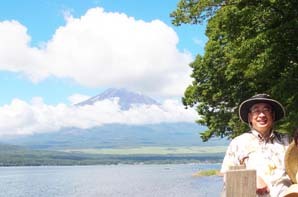 She, currently teaches at Hokkaido University of Science as an Assistant Professor, awarded the overseas sabbatical program from the school. 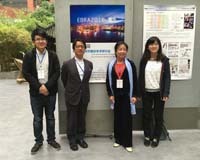 Ohno attended EBRA (Environmental Behavior Research Association) Conference held at Chongqing University. He presented a paper coauthored with Ms. Ayaka　Iwata and Zongchao Gu. Yuan Yichen, Yu Yang, and Zongchao Gu attended the conference. 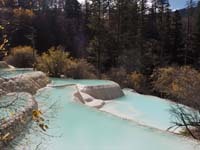 Ohno traveled with Professor Yuan in Chengdu、Dujiangyan and Jiuzhaigo. 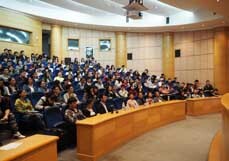 Ohno stayed in the Dalian University of Technology as a “sea/sky scholar”, visiting professor, to give a series of lectures on EBS and to advise graduate students on their researches. 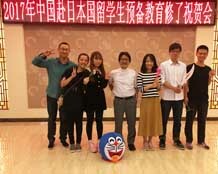 Ryuzo Ohno stayed 5 weeks in Changchun, China, where he taught academic writing and presentation in Japanese to Chinese students who received scholarship from Japanese Government to seek Ph.D. degree in Japan. We had a party for the last PhD student of Ohno Lab., Ms. Yin Qing, who received her PhD degree from Tokyo Institute of Technology last June. At the AIJ Prize 2016 ceremony, the president Dr. Nakashima Masayoshi, a colleague at Kobe University, gave us the certificate and a commemorative of the prize of AIJ for book. Ryuzo Ohno received MERA service award 2015 at the 23rd MERA annual conference held at Hosei University. 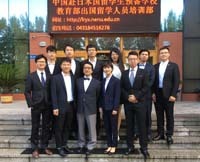 Ryuzo Ohno was invited to Hangzhou, China, to give a lecture at Zhejiang University of Technology. Professor Lingzhi Liu, who was a research fellow of Tokyo Institute of Technology, kindly served as an interpreter. 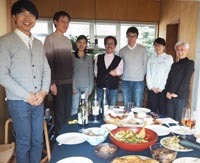 A dinner party was held at Ohno’s house for Professor Lu Wei from Dalian University of Technology, China. 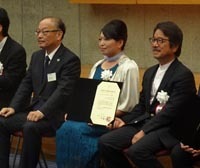 Dr. Takashi Takahashi, Lu’s teacher at University of Tokyo, his wife Professor Kuniko Hashimoto of Chiba Institute of Technology and Professor Kazuhiko Nishide of University of Tokyo joined the party. Architectural Institute of Japan announced AIJ Prize 2016. Ryuzo Ohno and Miki Kobayashi's book, "Human Urbanism for Creating Safe and Friendly Environments", received the Prize of AIJ for Book, 2016. Dr. Isagawa graduatd from our laboratory in 2013 received Encouragement Prize of AIJ 2016 for his paper. 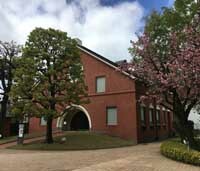 Ohno started to teach once a week at Tokyo University of the Arts in Ueno, which is one of the hottest spots in Tokyo particularly in this HANAMI (cherry blossom viewing) season. 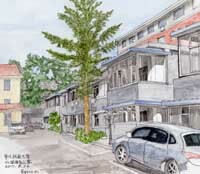 An architectural students’ group from China led by Associate Professor Yuan Yiqian of Tianjin University visited Ohno's house in Kohoku New Town, Yokohama. Ohno gave a special lecture titled "Built environment considered from human behavior" at the Colledge of Bioresource Sciences, Nihon University (Shonan Campus). 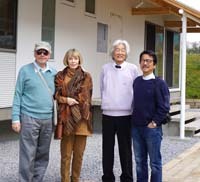 Prof. Kaisa Broner-Bauer, former Dean of the Department of Architecture, Oulu University, Finland, visited Ohno's house. Her old friend, Professor David Stewart and his wife Toshiko joined the party. 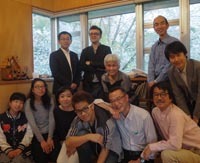 Home coming day for the OB/OG of Ohno Laboratory was held at a meeting room of Tokyo Tech Front in O-okayama. 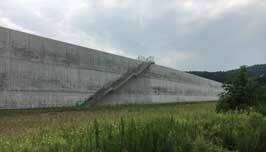 Ohno participated a site tour to the rime stone pit in Utsunomiya organized by the KUKAN KENKYU subcommittee of AIJ. Ohno attended EAEA (European Architectural Envisioning Association) Conference held at Lodz University of Technology Poland. 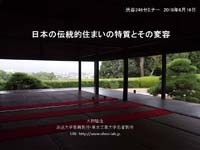 He presented a paper coauthored with Ms. Yu Yang titled "Effect of pedestrian observation mode on perceptual continuity of the streetscape"
Ohno participated as a speaker with Professor Monnai and Professor Tsumita a symposium titled “KUKAN KENKYU (Research on space): its past and future” organized by KUKAN KENKYU subcommittee of AIJ. 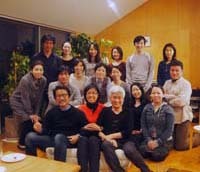 Prof. Sanjoy Mazumdar with his wife Shampa visited Ohno’s house and had a party with Professor Yurika Yokoyama and her son Haruki; Professor Hiroko Mizumura and her son Miki; Professor Shunsuke Ito; Ms. Eriko Kawano and her daughter Rina; Professor Minami’s son Seij. At the Northeast Normal University in Changchun, China, Ohno taught professional Japanese language for Chinese students who will be receiving PhD education in Japan. 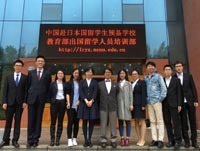 I gave lectures in Tianjin University and Beijing Forestry University, where former students, Ms. Yuan Yiqian , Ms. Yin Qing, Ms. Yu Yang served as interpreter for my talk. The Chinese version of the book, "Human Urbanism for Creating Safe and Friendly Environments" translated by them was just published in Beijing during our stay. I gave lectures on “environmental design for safety from crimes and natural disasters considering human behavior” in Northeastern University and Shenyang Jianzhu University in Shenyang, China. 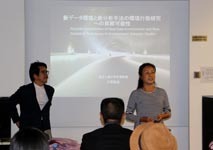 Ohno participated a research meeting for exchange ideas on environmental design based on observation of people's daily activities held in the College of Architecture and Urban Planning, Tongji University, Shanghai, China. 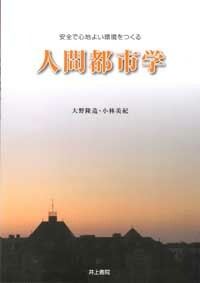 Ohno stayed in the Dalian University of Technology as a “sea/sky scholar”, visiting professor, to teach EBS. 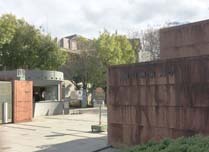 The Ohno laboratory in Tokyo Institute of Technology was closed on 31 March. However, research activities will be continued. The last students from our lab cerebrated their graduation. Our laboratory had turned out about 100 graduates. Ohno gave his last lecture at Tokyo Institute of Technology. 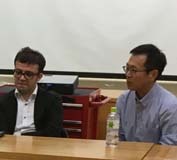 More than 150 people including former students from abroad attended the lecture and an informal get-together held in Suzukakedai campus in Yokohama.